Some 600 million children – or 1 in 4 children worldwide – will be living in areas with extremely limited water resources by 2040, a report by the UNICEF on World Water Day has revealed. “Water is elemental; without it, nothing can grow. But around the world, millions of children lack access to safe water — endangering their lives, undermining their health, and jeopardizing their futures. This crisis will only grow unless we take collective action now,” said UNICEF Executive Director Anthony Lake. South Africa too, despite recent rains in many parts of the country, regularly faces water shortages. According to statistics provided by the national Department of Health and UNICEF, unsafe or lack of water supply, sanitation services and hygiene is ranked 11th on the list of risk factors causing death in South Africa. In addition, approximately 11 per cent of South African households still lack adequate sanitation and at least 26 per cent of households within formal areas are equipped with sub-standard sanitation services. Diarrhoeal diseases account for 3.4 per cent of total deaths and are the 8th largest cause of death in South Africa. Globally, the poorest and most vulnerable children will be most impacted by an increase in water stress, the report says, as millions of them already live in areas with low access to safe water and sanitation. The report also notes that up to 663 million people globally do not have access to adequate water sources and 946 million people practice open defecation; over 800 children under the age of five die every day from diarrhoea linked to inadequate water, sanitation and hygiene; globally, women and girls spend 200 million hours collecting water every day. 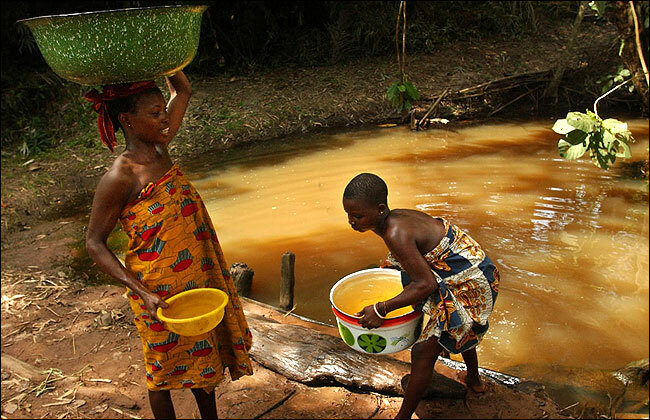 The impact of climate change on water sources is not inevitable, UNICEF says. The report concludes with a series of recommendations that can help curb the impact of climate change on the lives of children. Such measures include for governments to plan for changes in water availability and demand in the coming years; Above all, it means prioritizing the most vulnerable children’s access to safe water above other water needs to maximize social and health outcomes; climate risks should be integrated into all water and sanitation-related policies and services, and investments should to target high-risk populations; businesses need to work with communities to prevent contamination and depletion of safe water sources; communities themselves should explore ways to diversify water sources and to increase their capacity to store water safely.